When analyzing a balance sheet, you're likely to run across an entry under the Shareholders’ Equity section called treasury stock. The figures in treasury stock refer to the cost of the shares a company has issued and subsequently reacquired, either through share repurchase programs or other means. 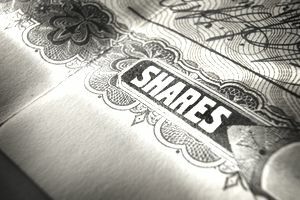 These shares may be re-issued in the future, unlike retired shares that no longer have value, and which the company removes from its balance sheet altogether. When a company buys back its own stock it has a choice to either sit on those reacquired shares, potentially reselling them to the public to raise cash or using them in an acquisition to buy competitors or other businesses. Alternately, the company could retire those shares and reduce the company’s overall outstanding share count permanently, causing each remaining share to represent a greater percentage ownership stake in the firm, including a bigger cut of the dividends and profits as calculated by basic and diluted EPS. Neither course of action mentioned above is necessarily better than the other as it depends entirely upon the capital allocation skill of management. Historically, a business like Teledyne in the hands of Henry Singleton used treasury stock like a master, increasing intrinsic value for long-term owners who stuck with the enterprise. Singleton bought back stock aggressively when the shares of his company were inexpensive, and issued it liberally when he felt the stock was overvalued, bringing in cash to spend on more productive assets. Treasury stock strategies can sometimes destroy value, as companies pay too much for their own shares or issue shares to pay for acquisitions when those shares are undervalued. Though not entirely related to treasury stock, one of the most famous, ill-timed examples to come out of corporate America in recent years was a deal in which the old Kraft company, spun out of Philip Morris, acquired Cadbury, issuing undervalued stock to pay for the overvalued acquisition. Warren Buffett's holding company, Berkshire Hathaway, owned a major position in Kraft and Buffett felt so negatively about the deal, he broke from his usual avuncular persona and criticized it as being "particularly stupid," voting against then-CEO Irene Rosenfeld's empire building and condemning it on television and in writing. In the end, Kraft split itself into two companies, renaming itself Mondelez International and Kraft Foods Group. Rosenfeld went with the former while the latter was left with the highly profitable but slow-growing grocery brands such as Maxwell House coffee and Jell-O pudding. Buffett and a buyout group with which he worked to buy H.J. Heinz ended up making a bid for Kraft Foods Group, merging it with Heinz to create The Kraft Heinz Company. Berkshire Hathaway now owns around 25 percent of it and is indirectly one of the largest packaged food empires in the world. One of the largest examples you'll ever see of treasury stock on a balance sheet is Exxon Mobil, one of the few major oil companies and the primary descendant of John D. Rockefeller's Standard Oil empire. As of the close of 2017, it held a staggering $225,246,000,000 in treasury stock on the books; a near quarter-of-a-trillion dollars in repurchased stock it has not canceled. Exxon Mobil has a policy of returning surplus cash flow to owners through a mixture of dividends and share repurchases, then keeping the stock with plans to use it, again, someday. In fact, every decade or two, it has a tendency to buy a major energy company, paying for the deal with stock, diluting stockholders’ ownership percentages by reselling those shares, then using cash flow to buy that stock back, undoing the dilution. It's a win-win for everyone involved because the owners of the acquisition target who want to stay invested don't have to pay capital gains tax from the merger, while the owners of Exxon Mobil end up with the effective economic equivalent of an all-cash deal, their ownership percentage restored after a while as the oil and natural gas titan uses the cash flow from its established and newly acquired earnings streams to rebuild its treasury stock position. From time to time, certain conversations take place in the accounting industry as to whether or not it would be a good idea to change the rules for how companies carry treasury stock on the balance sheet. At present, treasury stock is carried at historical cost. Some think that it should reflect the market value of the company's shares as, theoretically, the company could sell them on the open market or use them to buy other firms, converting them back into cash or productive assets. This thinking has yet to prevail. Finally, realize that some states limit the amount of treasury stock a corporation can carry as a reduction in shareholders’ equity at any given time since it is a way of taking resources out of the business by the owners/shareholders, which in turn, may jeopardize the legal rights of the creditors. At the same time, some states don't allow companies to carry treasury stock on the balance sheet at all, instead of requiring them to retire shares.